Walk to everything from the Cosmopolitan, including hundreds of restaurants, movie theaters, bars, nightclubs, lounges, and live music venues. The location cannot be beat. The town lake walking/jogging trail is just a few blocks away, there is a yoga studio called Wanderlust just across the street. If you are a coffee drinker, we provide a Keurig for your use, and there is a Starbucks literally two hundred feet from the front door. Check-in is at 3:00 pm. For your convenience, our keyless lock system will automatically activate your unique code at that time. You can share this code with your entire party to alleviate the hassle of dealing with keys. Check-out is at 11:00 am. The cleaning crew is scheduled to arrive at that time so we can get everything ready for the next guests. We provide one parking space with each reserved unit. The parking is covered, as well as gated and secure. If you require additional parking, the Marriott Residence Inn (which is directly across the street) provides both valet and self-parking options for a fee. Street parking is an option, but most of the spaces near the condo are metered during the day. The complex has a nice swimming pool that is open from 10am - 10pm daily. We do not allow parties, events, photo shoots, or large groups without prior consent under any circumstances. If you need assistance with an event venue, we have established relationships with quite a few local businesses, and would be happy to assist. In addition, the complex has a strict noise policy, with quiet hours starting at 10pm. Please be respectful of the neighbors as any noise violations (and the associated fines) will be the responsibility of the booking party. We have a strict "no refund" cancellation policy, and all reservations are paid in full at the time of booking. In addition, guests who violate our policies may be subject to eviction without refund. This condo is in a prime location. Right across the street from the convention center and 2 blocks from the 6th ave nightlife in downtown Austin. The unit is furnished with a modern flare. All of the beds are very comfy. 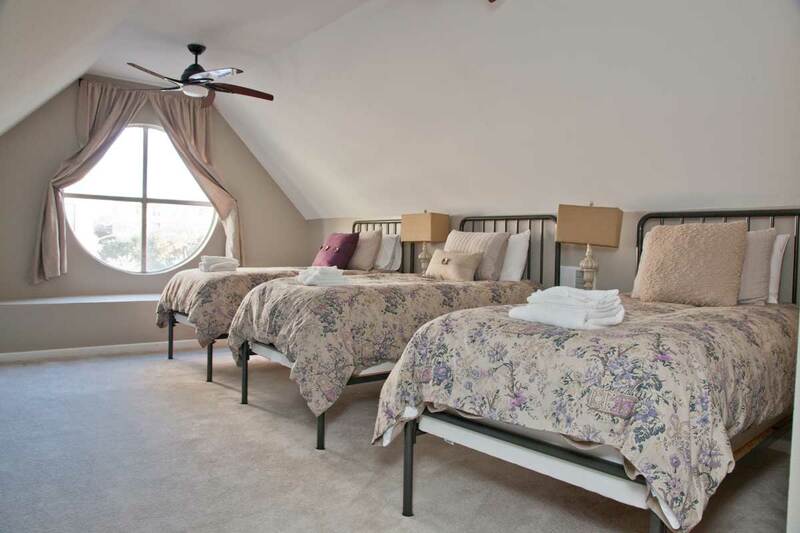 There are 3 queen bedrooms and a loft area which has 3 twin long twin beds. It is a great place to call home base for a group looking to party it up in the city. We spent 4 nights there over New Years and had an absolute blast. Check in/out was very easy. They have a place to drop bags if you get there early as well. The host was very helpful and friendly. I would definitely recommend this place to anyone looking to party with a big group in Austin. We had a wonderful experience at the condo! 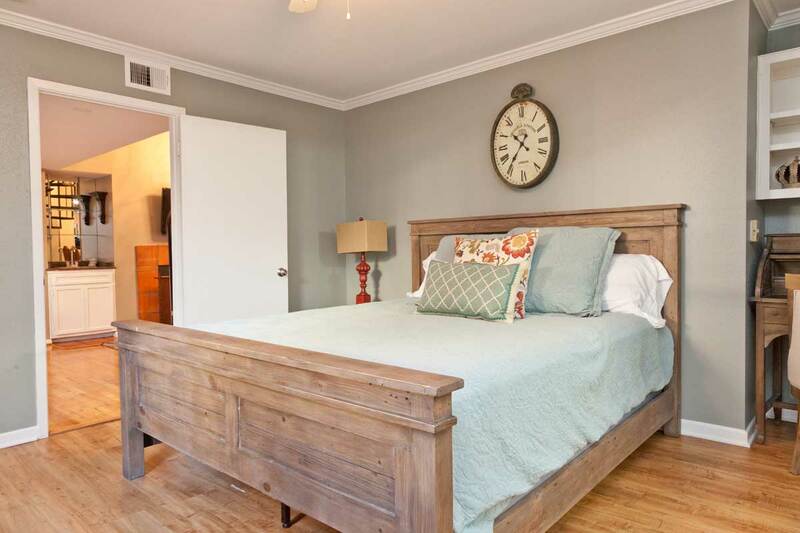 It was in a great location, within walking distance of 6th and Rainey as well as South Congress. Ryan was great throughout the entire process and I wouldn’t hesitate to stay here again. Ryan and Thomas were absolutely amazing! Thomas made sure we were very comfortable during our stay. There was a miscommunication at the time of booking but it was quickly resolved when we arrived and we felt at home immediately upon our arrival. Do yourself a favor and book with these guys! They are also HOA certified in Austin which is a huge plus for Airbnb. Ryan was a very gracious host. I emailed him prior to my arrival, asking him questions about the condo, the area, even restaurant suggestions – and he was terrific. He was very responsive and helpful. Most importantly, the condo was great. I hosted a bachelorette party for my sister – 8 people in total – and everyone was impressed by the space (even the high-maintence girls!!!). When we arrived, we were mistakingly left with only 2 roles of toilet paper, and when I reached out to Ryan, more toilet paper was delivered to the condo within 30 minutes. 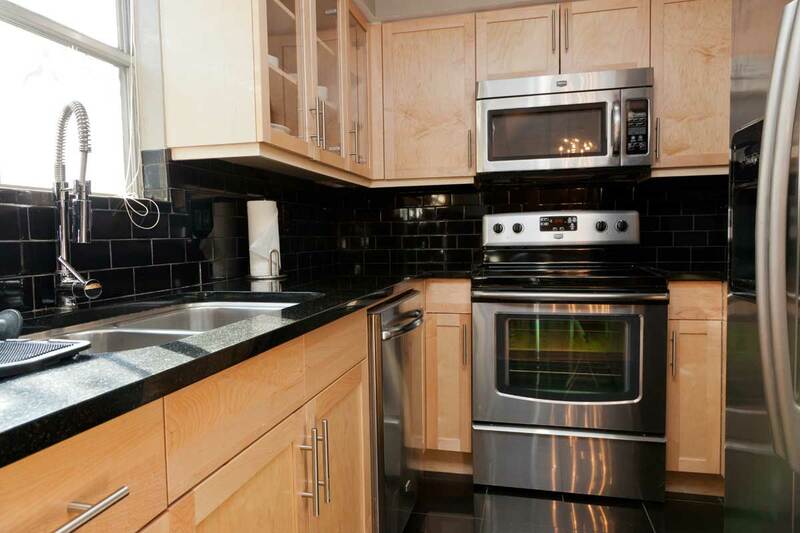 I would recommend this condo to any group looking for a great place in an amazing location. The Cosmo was an unbelievable location! 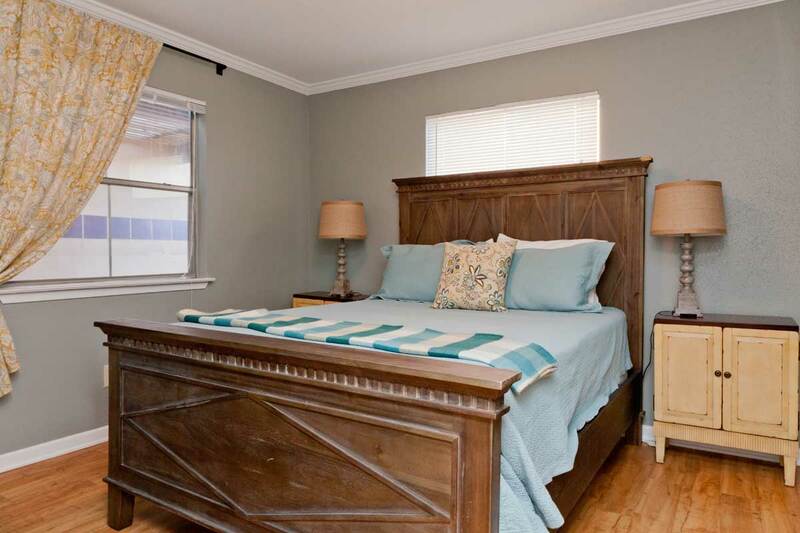 Walking distance to many great bars (Rainey St) and restaurants. On a lovely day, its a delightful walk to South Congress. Ryan and his team were wonderful to work with — they accommodate some little requests for us that helped to make it a great stay. I give that team 5 stars! The condo itself was pretty fun — we enjoyed the ridiculous chairs in the living room (ridiculous in a good way!) and the ample space throughout. The beds were very comfortable and we enjoyed the Austin-y decor. Our only complaint was that the complex and area surrounding the condo was pretty active, and therefore pretty loud. It didn’t feel like there was a lot (or any) insulation from outside noises. Otherwise, an absolutely fabulous stay! Overall, the loft was very nice and clean (I was very happy to see how clean it was), but though it says that it can fit 12 people comfortably, I would have to disagree, particularly if you plan to hang out in the loft. It can definitely sleep 9 people with comfort, though, and the accommodations are good. The location is probably the best thing about this space. It is right near everything – 6th Street, Rainey Street, etc. My group pretty much walked everywhere. It was also easy to get to from the airport, especially with the shuttle. Ryan was very good about communicating with me, and Thomas also was very quick to respond during my stay when I had a question. Though I didn’t have issues while I was there, it was good to know that I would be helped quickly if I did. I was also grateful to receive activity recommendations as it was my first time in the city. I would definitely use this option, again, if I had a chance, just with a smaller group. Great location! Walking distance to everything…great bars, restaurants, clubs, etc. The space was clean and comfortable. I would definitely stay again on my next trip to Austin. Stayed here for my best friend’s bachelorette getaway. Beautiful space and perfect downtown location! Booking process was easy and response time was fast. Ryan was great at responding to all the questions that I had. Thomas was our contact person while we were in austin. He was wonderful! Came to our rescue a couple of times and was able to help us with everything we needed. Really fell in love with Austin, will definitely be coming back and would love to stay at any of Ryan’s properties! Great home! Great location! Great City! Great host! My guests and I thoroughly enjoyed our stay at Ryan’s home in downtown Austin. Everything was within walking distance or a short uber ride away. Ryan was extremely accommodating and responsive throughout the whole process. We’ll definitely book with him next time we visit the city. 5 Star service! Ryan and Thomas did everything possible to make sure that our stay was as comfortable as possible. They provided numerous follow ups and were extremely prompt with their communication. The place is great for a large group. We fit 12 adult men without issue. Ryan had three air mattresses, linens and an air pump ready to accommodate our large group. The location is perfect to walk around Austin and enjoy daytime activities and the night life. If I did the same trip again I would book this same unit in a heartbeat. Also the keypad access instead of keys made it easy to access for all individuals in our group. Ryan and his business partner were responsive to texts/calls over the weekend. The place was great for our group, nothing else needs to be said. The Cosmo at the Convention center was a great place stay! We had 12 people stay here for a weekend, and there was plenty of space for everyone. The location was excellent, and Ryan and Thomas were especially helpful with accommodating an early check-in and late check-out. I would highly recommend staying here for someone looking to host a big group of people! The host provided instant feedback from the time we booked his condo. The description was accurate and the location is great. Can’t beat it for downtown Austin. I rented 5 apartments from Ryan on Air BnB for a weekend in Austin (getting my MBA at UChicago and we only travel in packs); the Speakeasy, Retro Chic, Argyle, Grant Austin, and the Cosmopolitan. The apartments are well furnished and well kept. Ryan and his property manager (Thomas) are extremely accessible and helpful. All of my questions were quickly answered and it was nice that they checked in with us during the weekend, and were extremely flexible on the check in / check out times. The only thing (and this is CLEARLY written in the apartment descriptions, so its just something I should have thought about more carefully) is that it sometimes does really stink to sleep on air mattresses, so if you can at all, I’d highly recommend you only bring enough people that there are beds for. Listing was very accurate. Apartment was stellar. Ryan and his team were great managers, always available and all in all, very helpful. Highly recommended! Perfect for a group of 8 for a bachelor party. As described. Centrally located, two blocks from 6th street, could easily walk there. Accessible to all areas. Place was clean and had everything that we needed. Highly recommended for groups as it is convenient. No issues at all. We loved this cute condo. It was perfect for all the girls in the group. The Host was in contact with me and everything was all set up when we arrived. The parking Spot W5 was a bit small and hard to get into because the pole was right there, but everything else was great. thank you. We loved Austin and we’ll be back! The condo was clean and we were allowed to do an early check-in which was much appreciated. The location could not be any better with everything within walking distance. Had an amazing time there and highly recommend this location! Our group really enjoyed our stay at the Austin Cosmopolitan. It was in close proximity to everything our group wanted to do and the space accommodated our group perfectly. The pool located in the building across the way is a bit small, but besides that we thoroughly enjoyed our experience. 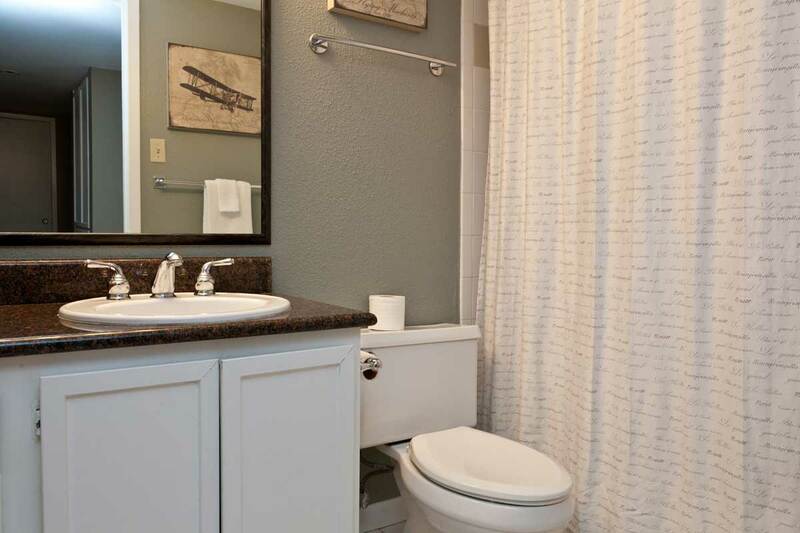 The description of the condo was very accurate and in the the best location in Austin. We could easily walk to nearby stores, bars and finding a cab or uber was a synch. This was my first time using airbnb and Ryan was incredibly patient with all of my questions, reservation changes, and onsite needs. It was truly an incredible, relaxed, no worry situation and our group could not have been more pleased. Thanks! A group of 12 of us rented this place and the Silver Screen (right next door). We had a great time. For the apartments themselves – there’s an incredible amount of space, great seating areas, fully stocked kitchens, and very comfortable beds/pillows. The location is also superb. It’s right off sixth street and only a little farther to Rainey – and close enough to LA barbecue that you could sleep in and still get in line early enough to not have a wait time. We will definitely stay here again if coming back to Austin. The Cosmo is just as beautiful as it appears in the photos. It was perfect and spacious enough for a group of girls to stay comfortably. 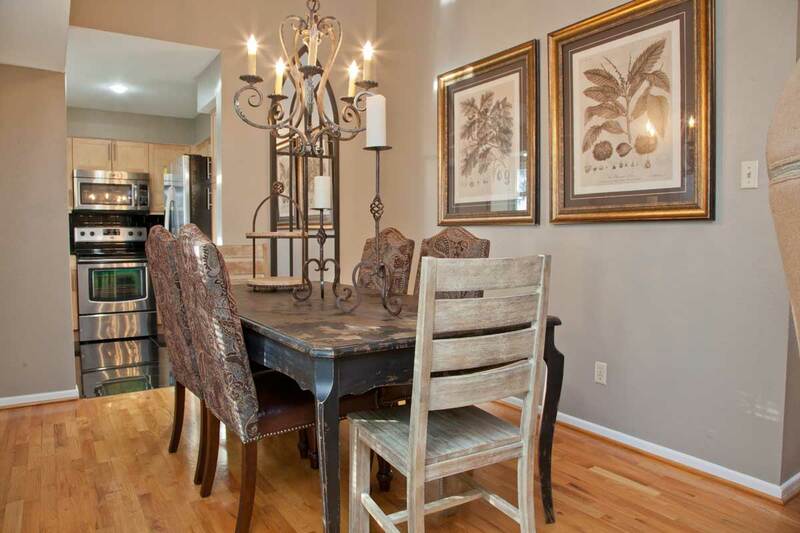 The location is great, and the apartment within walking distance to tons of Austin highlights. One downfall I experienced involved lack of communication. There were several hiccups involving us being locked out of the condo after we had established an early check in the day before. All in all the stay was great after we got in to the unit and out of the heat! The Cosmo was the perfect place for our group to stay and I could not have asked for a better host! Ryan and his team answered any texts or messages within the hour, usually within ten minutes and were very sweet and attentive to our needs. One of our maid of honors was shipping her dress to the unit and it was delivered safe and sound after some easy coordination with our host. The apartment fit about 9 ladies for a wedding week for one of my best friends. We had the bachelorette dinner literally around the corner at Fogo de Chao and took photos of the bridal party the morning of the wedding in front of the fountain in the courtyard. Anything we needed was available including an abundance of towels, pans, pots, glassware for toasts, detergent, shampoo–you name it! We were concerned that there were only two bathrooms before we booked, but it proved to be a just fine with the abundance of mirrors around the apartment! The lighting and furniture was perfect for the morning of and there was ample space for all the bridal party to prepare the morning of the wedding with the mothers, photographers, hair stylists and makeup artists. Our bride-to-be (now bride) was so thrilled with the little details including her dog throw pillow and the quirky decor. We would definitely recommend The Cosmo to any friends and family looking for a home away from home in the Austin area. Thank you for making our bride’s week flawless. My girlfriends and I rented The Cosmo to celebrate a bachelorette party and it could not have been more perfect! There was plenty of space for all 8 of us to primp before a night out. The kitchen was useful and Ryan had everything that we might need. The rooms and even the sleeping loft were comfortable and private enough where everyone could get enough rest. The property manager was available and even found a place for us to store our bags prior to check-in so we could grab lunch. The door utilizes a code (instead of a key) which was so convenient so girls could come and go without fear of locking ourselves out. The location of the condo was perfect! We were right in the heart of Austin and if it hadn’t been 102, we would have walked everywhere! As it was, all our Ubers were able to find us quickly! I would definitely stay here again if we come back! We had a Wonderful time! Great location and a very nice unit. Best beds I have had in austin! I stayed here with 8 other friends for a girls weekend in Austin. This place was perfect for our trip! It was well decorated, clean, and had everything we needed for our stay. The location couldn’t get much better. We walked to most bars & restaurants throughout the weekend. Ryan and his staff were helpful and accommodating with any request we had. Ryan did a great job helping us before and during our visit. He was always available and responded quickly to any questions we had. The property was in a great location downtown and the reserved parking was incredibly nice. The place was very well maintained and beautiful. Couldn’t have asked for a better place to stay at! Would definitely recommend this property to anyone staying in downtown Austin and will be back again without a doubt! We were very pleased with the accommodations, neat, clean and as advertised. I highly recommend Ryan as a host. I high recommend the Cosmo! Great location downtown. Thomas and Ryan were very accommodating. My flight arrived early into Austin and they checked me in early. Very good experience. We stayed at Ryan’s condo over Thanksgiving. Our flight arrived early and Ryan let us check in early which was great. 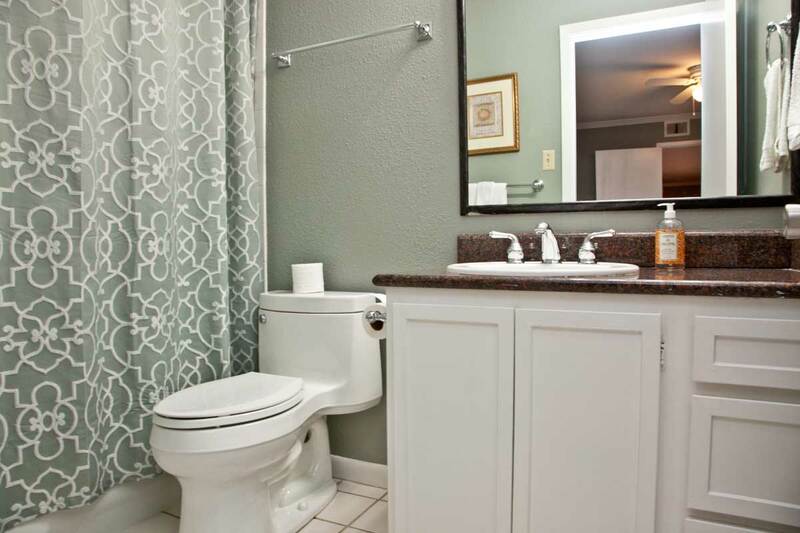 Condo is centrally located in the heart of downtown and only 2 blocks from 6th street. Plenty of room and can easily accommodate up to 9 people comfortably. We had a terrific stay at the Cosmo. Great location, clean and as described in the listing. Ryan and team were very helpful and we would recommend staying with them to anyone. Our experience here was awesome. The location was great, the place was clean and had everything we needed! The maintenance team and Ryan were very responsive when we needed something. Would definitely return back. We had a great experience at this Condo. It was one of four that we rented for a large reunion. Ryan was extremely responsive and helpful. 10 out of 10! The neighborhood was great! It was such a central location and the condo fit all 10 of us very comfortably! We enjoyed the comfy beds and were able to use the kitchen. This location was kept in great condition and we would totally book again for another visit to Austin! Ryan was an excellent host and I really loved the place. The location was perfect and the house is great. Great place , ryan and his staff were sooo helpful and the place was super clean ! We had a great time ! This is the second year we’ve stayed here for the SXSW Edu conference. Everything was great! Had a great time at the Cosmo, and Thomas the property manager was responsive and helpful. The condo we staying in was fabulous! It easily accommodated our group of 8 and provided us with plenty of sleeping and common space to spend the weekend together. The place was in a perfect location for all of the activities we wanted to do while in town. Ryan was great in providing us all kinds of information in advance about the place as well as the surrounding area. I can’t recommend this place enough! The apartment was perfect for our group of 9 girls for my sister’s bachelorette party. The location was AWESOME, walking distance to all the spots we had mapped out during our trip and Ryan was a great host. Our air was broken at first and Ryan had someone to the house fixing it immediately. Thank you for a great stay! Ryan and his partner Thomas were great hosts! They were very flexible and offered to hold our luggage until we could check in, and offered us a late check out. The apartment was amazing and just enough space for the 10 of us that stayed there. 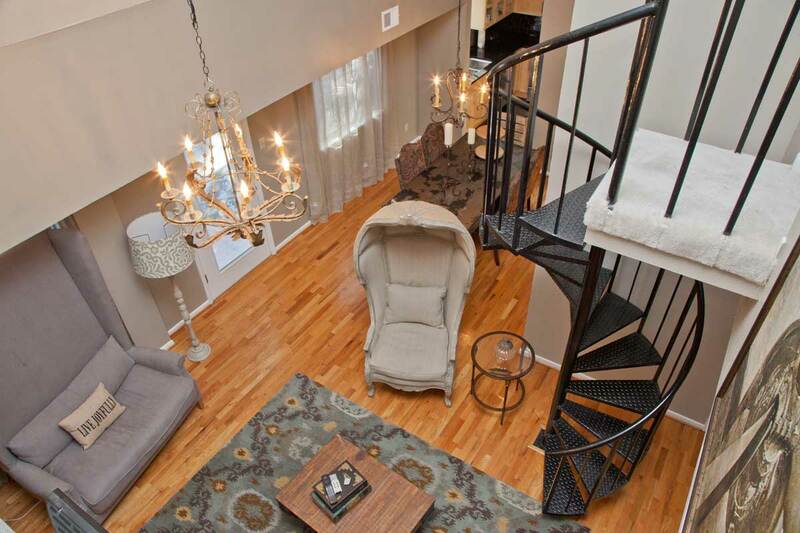 The location is great and within walking distance to restaurants, bars, shops and the capitol. It was very clean and everything was well stocked. We had a blast in Austin and would definitely stay at the apartment again! Ryan’s home was in the absolute perfect location in the heart of downtown Austin. We couldn’t have been closer to 6th street if we tried. It was so convenient to be able to walk back and forth between the property and the restaurants and bars in the area. The house was clean with plenty of space and towels for our big group and very clear instructions for every step of the way. I would highly recommend staying at this location if you have a big group looking to have some fun in Austin! This place was perfect for a bachelorette party weekend! The Cosmo was the perfect place for our 40th Birthday celebration! My husband and I, along with 5 other friends stayed for a long weekend for our first visit to Austin. The Cosmo was actually as described and the photos show. The location couldn’t have been more perfect. We were able to walk almost everywhere. I would definitely stay here again. Ryan and our host Thomas were very helpful leading up to stay & we had a blast enjoying all of their recommendations and what Austin has to offer! I can’t wait to return! I will definitely be recommending this place to my friends! After a grueling flight that ultimately landed in the wrong city, and after a hour cab ride from San Antonio to Austin, my girlfriends and I arrived at the Cosmo at the Convention Center in the small hours of the night exhausted and bleary eyed. What a sight for sore eyes the listing was!! The key-less entry made for an absolutely painless process of getting into the condo and flopping into very comfortable beds. This was the first of two stays here and it was everything we could have wanted in accommodations. Ryan and Thomas provided detailed instructions on just about everything we needed to best utilize the condo and also some wonderful traveler tips about Austin. Great experience from start to finish. The pictures represent the place well, but you definitely say wow when you enter it. Easy access to everything in Austin. My group had an amazing time here for my sister’s bachelorette party! There was the perfect amount of space for our group of 8 to stay here comfortably. The amount of rain in Austin altered our original plans and the property manager, Thomas, gave us really quick feedback with some great suggestions. We even took advantage of the pool area. The location was ideal and we could walk or take a quick cab ride to all attractions. Ryan was accommodating, patient and great with communication. He replied quickly to any questions I may have had and went out of his way to make us feel comfortable. Our stay was great and he checked in with is to make sure everything was to our liking. Great place to stay- it was clean and large enough to fit 10 people comfortably. My only critique would be the size of the pool. It was much smaller than it appears in pictures and is shared with a large number of people. Great place! Very clean and Ryan was a huge help. The apartment itself was great as was the location. The host was very helpful and answered my calls when I had questions. Overall, a great experience and would rent again. Ryan is an excellent host and checked in with us prior to our arrival. The pictures and description are accurate. If you are considering this place, then it is likely that you are wanting to be smack in the middle of downtown, which this unit definitely provides. However, please consider whether you are a heavy sleeper as you will hear street noise from the two front rooms late into the night. Ryan mentioned this prior to booking and I think also mentions this somewhere on the listing. Other than that we had an issue with Wifi that Ryan corrected immediately. Ryan was very accommodating and quick to answer any questions I had. The bathrooms come stocked with soap which is nice as well. I highly recommend staying here. It’s very easy to get around due to its central location in the city. The ease of checking was great. Beds bathrooms and pictures all were up to expectations. Perfect location, great space for a group, and very professionally and smoothly run. Space was exactly as described – great for a group of 10 girls! The door code made it easy for people to come and go and the location couldn’t be beat! Right in the center of all Austin has to offer. Ryan’s place was perfect for our business trip. It was plenty big enough for a group of 5 of us and only 2 had to sleep in the same room. Arrival and departure was super easy and everything was clean and worked as described. Would stay again. Ryan and Thomas were so helpful and welcoming, with great communication leading up to and on the day of ou arrival. The apartment was in an AWESOME location – so close to the convention center, but also within walking distance to so many great amenities and restaraunts. The parking was also a huge plus. Beds were all comfortable, everything was clean and the showers were great! Thank you Ryan and Thomas for a great stay in ATX! Great location and Ryan was a great host. Would definitely stay there again. Great apartment for a group looking to explore Austin. 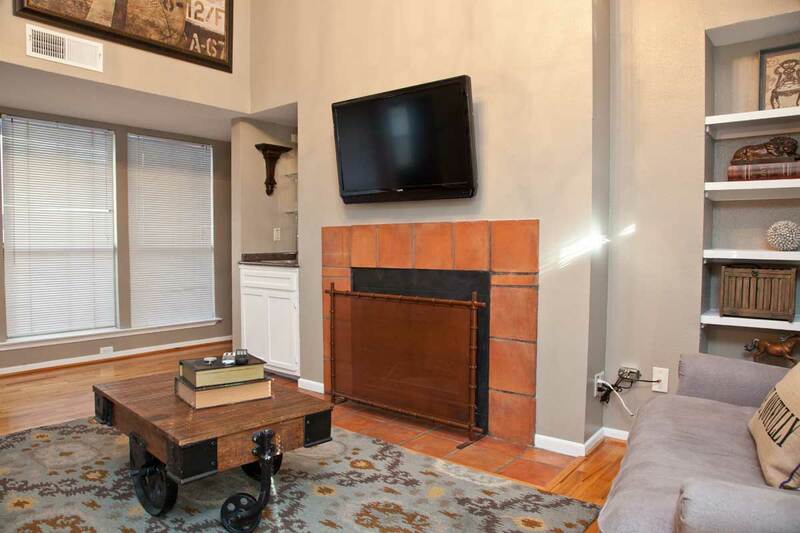 Perfect location that is walkable to downtown, SoCo, and Rainey. Apartment is exactly as described and comes with everything you need for your stay. Everything was great with this rental. Pictures were accurate and the information provided prior to the stay was spot on. Location was unbelievable since we were all there for an event at the conference center and proximity to the nighttime activities was great. Condo was very clean and had all of the amenities as promised. Ryan was great to work with – they were quick to respond to questions and gave very detailed instructions as well as tips/things to do in Austin. The location was absolutely ideal to both walk to spots going out downtown as well as short cab rides to other areas in the city. The place was exactly as described and great for a big group. Thank you, Ryan! This location cannot be beat! A group of us stayed here for a fun-filled girls weekend and really enjoyed being walking distance from almost every place we wanted to go. Getting cabs from here was also very simple as there is a hotel across the street and major streets within a few blocks where hailing a cab took no time at all. Ryan and Thomas sent a very thorough letter loaded with great travel tips and helpful notes about the condo. They were a pleasure to work with. My group loved the modern and chic decor of the condo as well as the fully equipped kitchen (which we made use of for breakfast and lunch most days). There was a fully stocked linen closet with plenty of towels for our group of 8. Overall a great experience that I would recommend to other travelers. Ryan was an amazing host. He provided a very detailed introductory letter detailing all activities, neighborhoods, transportation, etc. that helped get our group set up in Austin. We rented two units (side by side) and both units exceeded everyone’s expectations! They were decorated beautifully and were more spacious than expected from the pictures. There was also a full linen closet and toiletries were stocked. At one point during the weekend, we had a maintenance request. I called the host and within 30 minutes we had someone at our door fixing the issue. I would highly recommend both units. The location was great – if you couldn’t walk to where you needed to get an uber was always within a minute or two and was a very cheap mode of transport for the weekend. The units were beautiful. And the host was courteous and responsive. Exactly as advertised and exactly what we were looking for. Would definitely stay here again. Thanks Ryan! Rented this place for a group of 10 visiting Austin for a bachelor party. Ryan and his group were very accommodating in helping us check-in early and check-out late. Place was clean and came as advertised. They even offered to to assist in making arrangements for dinner and daytime activities. I would highly recommend Ryan to any group visiting Austin in the future! The Cosmo was in the perfect location to all the activity on 6th street. Ryan was quick to reply to any questions we had. The accommodations were spectacular. Beautiful condo. We had 9 in our group and it worked really nicely, especially because we had a few couples and a few singles. Ryan was quick to respond with all forms of communication, and the location couldn’t be better. Easy walk to everything we wanted to do, and a 25 dollar cab fare from the airport because we didn’t wait for the shuttle (some did and had a less than stellar, but ok experience). The only awkward part of the condo is with as many beds to accommodate a group, the main room is not that large and makes hanging out in the communal area a bit funny, but no big deal. I’d gladly recommend or stay there again. The Cosmo was the perfect place to stay for our girls bachelorette party weekend! The condo was spacious enough to house 8-10 women! We loved the way it was decorated! Nice TVs in every room. Plenty of towels and bedding for our large group. The keyless entry was great for us to come and go at different times. The location was right in the heart of downtown Austin! We hit up the river running path every morning and the Starbucks across the street from the condo got lots of business from us 🙂 We walked and took rig-shaws to many different bars and restaurants! The community pool was a bit smaller than we had hoped. but it did get direct sunlight between the hours of 11-3 so our pale Chicago bodies enjoyed that 🙂 Ryan recommended taking the bus to and from the airport and it was very convenient — the stop is right across the street from the condo! Ryan was a very responsive host and answered all of our questions before our trip so we were prepared and ready for a great experience! 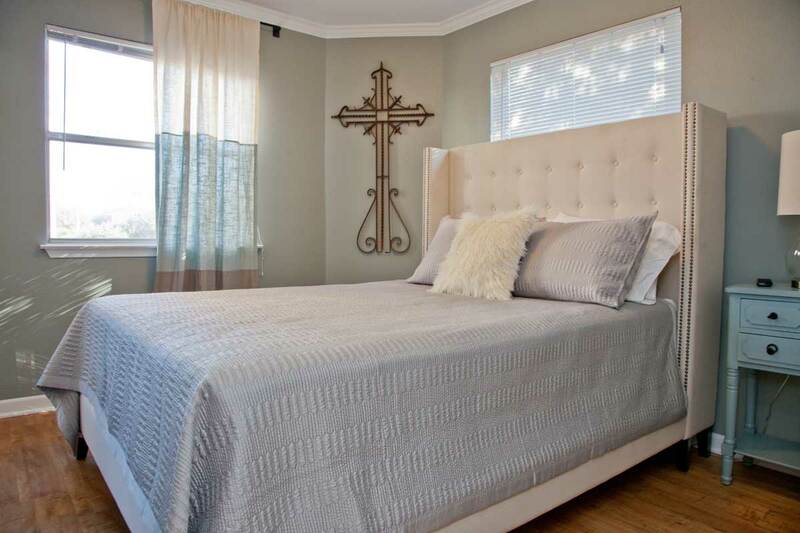 We would totally recommend this property and will keep it in mind for our next trip to Austin! Ryan’s listing was as advertised. My friends and I had a great time, the apartment is spacious, clean and very conveniently located. Ryan is a very helpful host, and gave us a lot of tips for stuff unrelated to the apartment, to make our stay more fun. I would definitely recommend this apartment to anyone traveling to Austin. Ryan is a friendly and helpful host, helped quickly with any query. Apartment is lovely filled with nice touches (toiletries), 9 of us slept comfortably in it. So close to the nightlife but also quiet! Thank you for the great stay in Austin! The Cosmo was a great place to stay–it’s the closest you can get to the convention center, which was perfect for my group’s needs. The keyless entrypad was ideal for our group as we had different schedules–no worrying about passing around a key. I will note that the three single beds are up in the loft, and it can be a bit loud for people sleeping up there if there are others still awake and talking in the living room/dining room. This probably wouldn’t be a problem if you have a group of people who are 1) quiet at night or 2) have the same schedule. Ryan was responsive to all emails/texts. This location can’t be beat–very easy access to both 6th street and the jogging trail. We walked to the Capitol one afternoon. And the bus stop for the airport is literally across the street. Super convenient location! Ryan was a great host and provided lots of details for us in advance of our stay. He was also very patient while we explored options and asked about various parts of town. I’d certainly recommend staying at one of his properties! Great place, great location and great host. Very responsive and easy to communicate with. Everything was as described and in good condition. Location is perfect for a weekend in Austin. Highly recommended. Ryan was very responsive and communicative. The apartment was great for the birthday trip I planned for a group of friends: centrally located and big enough for all 8 of us to fit comfortably. The good: Ryan was very communicative. The location is great. The place easily sleeps 3 couples and 3 singles. The bad: 1) The place may sleep 9, but it literally seats 3 in the living room. There’s no couch at all. 2) The place may sleep 9, but it showers 2.5 people. Halfway through the second shower the water was ice cold. We had two bookings next to each other and the maintenance man came and said that the hot water heater was not adequate for the amount of people we had. Yes, we were way under the limit on the Airbnb listing. 3) The communication afterwards didn’t make it seem like he was able to assist us financially for the trouble. It is currently in Airbnb resolutions, but we were hoping to not have to get there. If the heater gets fixed and there’s a couch, I can’t find a reason this wouldn’t be a great place to stay. Otherwise, move on to another complex. Great place to stay at, Ryan was extremely helpful with spots to visit, eat and drink at as well. Great location, centrally located, we loved it and will definitely go back. Thank you Ryan!! Subscribe to our email newsletter for interesting information and news. With all of the lakes and sunshine, you don't want to miss out on our good weather. Copyright © 2013-2019 Onyx Hotels LLC. All right reserved. Word.